Scotland will push for a second independence referendum if Tory Prime Minister Theresa May follows through with plans to take the UK out of the single market in a ‘hard Brexit,’ Scottish National Party (SNP) leader Nicola Sturgeon has signaled. 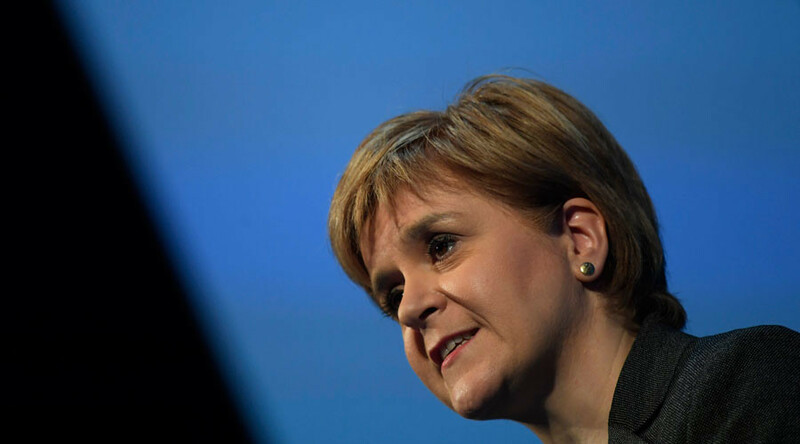 Speaking at the SNP’s three-day annual conference, Sturgeon argued the Tories have no democratic mandate for a ‘hard Brexit,’ which would see a severe crackdown on EU immigration and a departure from the single market. On Friday, delegates are expected to support a resolution calling for a second referendum on Scottish independence to be held before 2019 if no viable solution can be found allowing Scotland to retain EU membership while still part of the UK. In her opening remarks at the conference, Sturgeon confirmed that the Referendum Bill would be published for consultation next week. The SNP leader and Scottish first minister also condemned the right wing of the Conservative Party for “hijacking” the UK’s exit plan from the European Union. “But make no mistake – the right wing of the Tory party is now in the ascendancy and it is seeking to hijack the referendum result. Brexit has become Tory Brexit. Sturgeon spoke out against last week’s Conservative Party conference speeches, when a number of cabinet ministers set out plans to curb migration, including a proposal to force businesses to disclose the number of foreign staff members they employ, which was later dropped following a public outcry. “Last week, we heard an intolerance towards those from other countries that has no place in a modern, multicultural, civilized society. “It was a disgrace. It shames the Tory party and all who speak for it,” Sturgeon said. Sturgeon also announced SNP MPs plan to oppose Theresa May’s so-called Great Repeal Bill – legislation that would enshrine all EU law into UK law, allowing UK legislators to then amend or scrap unwanted elements of it. “That bill will repeal the legislation that enacted our EU membership. Scotland didn’t vote for that and so neither will our MPs,” she has said. Sturgeon signalled the SNP would seek the help of Labour, Liberal and moderate Tory MPs to form a coalition against a ‘hard Brexit’ and vote against the bill.